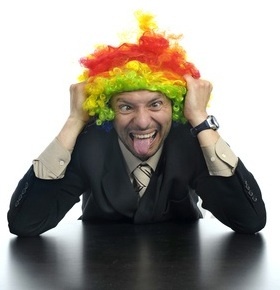 Healthcare Marketing: Are We Taking Ourselves Too Seriously? Some of the great advertising of the past would never pass muster today. I know in healthcare marketing we rarely get to be funny. And certainly not edgy. Maybe clever at times. And sometimes cute. But never outrageous. So this is not written to healthcare marketers who almost always have to err on the side of safety. But two recent incidents lately have really made me think we are living in a world that is far too sensitive. And because of it, we have to be bland to be widely accepted and approved. Now I don’t believe we should be insensitive. But sometimes criticism of advertising just goes too far. At least that’s my opinion. There are many examples that could be sighted but here are two recent ones. Diet Pepsi introduced a new “skinny can” during Fashion Week in New York. The new can is tall and skinny. From a marketing perspective it seemed very appropriate for a diet drink. But apparently I’m wrong. Critics have strongly chastised Pepsi for reinforcing dangerous stereotypes that women must resemble beanpoles to be attractive. Now I agree that a woman doesn’t need to be skinny to be attractive. And to promote such an idea is wrong. But packaging a diet drink in a skinny can is over the line? Isn’t it just good marketing? The other example I will cite is an ad for the New Zealand Police Department. They needed to attract young recruits to the force. And an advertising agency came up with an all type ad with this head, “We’ve Got a Lot in Common With Cougars. We Like ‘Em Young Too.” An ad that very cleverly makes a singular point. A message that would be sure to resonate with the target. But it received heavy criticism and has been banned. Now I admit the ad is provocative. But it’s also clever and effective. Is this over the line too? Can we not be clever anymore? Can we not use commonly used slang words from our culture in our advertising? Maybe I’m all wrong but I still believe clever, funny advertising is good. I readily admit that sometimes, advertisers do go over the line. Sometimes ads are harsh, rude and inappropriate. But it seems special interest groups are drawing that line way too close to boring and bland. There is no longer room for good marketing savvy. It makes me think that many of the great ad campaigns of the past would receive heavy criticism today, as they would be interpreted in light of people’s colored glasses and extreme sensitivities. I never want to be vulgar or create anything I wouldn’t want my children to be exposed to. I never want to be insensitive to groups of people. But I still want to create advertising that cuts through the clutter, that communicates, that makes someone notice. And yeah even makes them laugh sometimes. ← Healthcare Marketing: Facebook is Getting Old!